Boating and Beach! Stunning bay views, great boating water and deeded Gulf beach access come together to create this delightful island paradise. Idyllically located on the southern end of world-famous Siesta Key, on a private brick-paver road on a cul-de-sac, this bay front home captures the essence of island living. Tropical landscaping, attractive entry and expansive Bay view. The open living and dining room, with vaulted ceilings, round etched-glass dolphin window, celestial windows, fireplace, walls of mirrors, offer stunning views of the bay waters. The eat-in kitchen with breakfast area is perfectly positioned between multiple living spaces and covered lanai for seamless entertaining. The media room features its own built-in entertainment system. The master suite opens to a private deck and a master bath including two walk-in closets. The first level includes a bonus space with its own private entrance, one-car garage, full bath, sunroom, with access to the lanai and pool area. A boat dock with water and 30 amp electric circuits, a boat lift (13,000 lbs. ), and twin floating "E-Z" jet docks. Salt-water pool, with lap-lane and spa, natural gas heated.This is the perfect home, located in a resort area. Close to a full service marine for all boats and yachts up to 69 feet, with travel lift, fuel, and ships store. Turtle Beach Park, boat ramps, restaurant, pub, and marina are all within this unique resort community. Free trolley to Siesta Key Beach, or to charming Siesta Village. Lot Size: 0.29 Acres / 12650 Sq. Ft. Directions:Proceed West on Clark Road to Siesta Key. South on Midnight Pass Road for 2.5 miles. East on Tree Bay Lane. Second to last house on left. "U"-shaped driveway with large oak tree. SchoolsClick map icons below to view information for schools near 1273 Tree Bay Lane Sarasota, FL 34242. MFRMLS data last updated at April 21, 2019 12:09:23 AM PST. Home for sale at 1273 Tree Bay Lane Sarasota, FL 34242. Description: The property at 1273 Tree Bay Lane Sarasota, FL 34242 in the Tortoise Estates subdivision with the MLS# A4424828 is currently listed for $1,599,000 and has been on the market for 73 days. 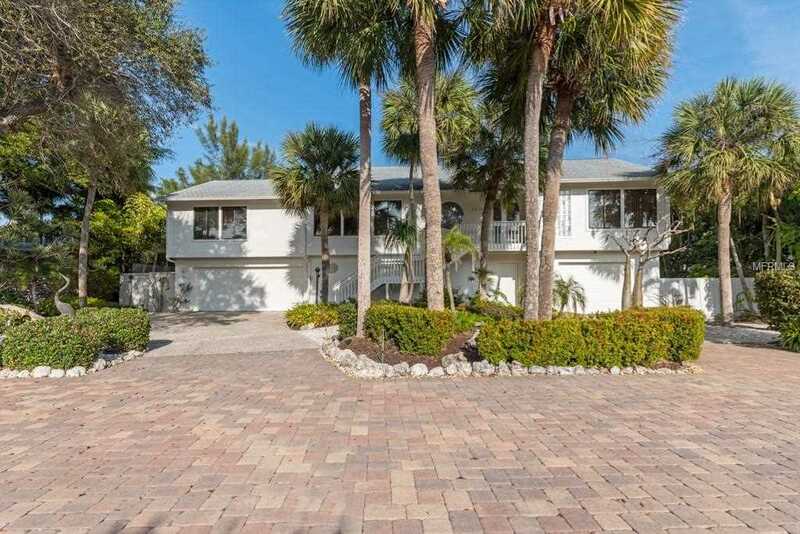 You are viewing the MFRMLS listing details of the home for sale at 1273 Tree Bay Lane Sarasota, FL 34242, which features 3 bedrooms and 4 bathrooms, and 2258 sq.ft. of living area.